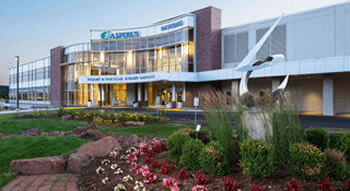 The Aspirus Iron Area Health Foundation is a separate not-for-profit health care organization, which is dedicated to caring for the communities of Upper Michigan and Northern Wisconsin by directly supporting the mission and vision of Aspirus Iron River Hospital and Clinics. We achieve this through the development of relationships and partnerships with individuals, corporations, foundations and others who endorse our position to provide quality health care, community education and development of new programs and services. Advancements in technology and treatment occur continuously. Financial resources are essential for the provision of excellence in care we notably provide to our patients and families. The significance of your gift assures continuance of this care as it is used to augment the operating revenues of Aspirus Iron River Hospital and Clinics for endeavors which cannot be funded through general operating revenue. There are various ways you can facilitate the continuance of health care resources for our region with a gift to the Aspirus Iron Area Health Foundation. Your gift ensures quality of care for present and future needs. Over the phone - call 906-308-0239 providing Visa, MasterCard, American Express, or Discover card information. In person - Please call ahead to make an appointment or to ensure someone will be in the office. Cash Gifts - Gifts of cash can have an immediate effect in addressing our most essential healthcare priorities. You may gift by mail, online or in person. In-Kind Gifts - The foundation welcomes non-cash contributions of items that directly benefit patients, as long as the department receiving the gift deems it acceptable and appropriate. The donor maintains responsibility of indicating the value of the gift. Stock Gifting - Appreciated stock is frequently used for charitable gifting. This type of donation offers advantages to both the donor and the Foundation. The donor may qualify for a tax deduction at the stock's appreciated rate. The Foundation can sell the stock and use the revenue for desired equipment and/or program development. Real Estate Gifting - Real estate, whether personal or commercial property, is an opportunity for a donor to safeguard cash assets and realize tax and income benefits. Life Insurance - In naming Aspirus as the beneficiary of a life insurance policy, you increase your potential to make a significant gift. Annuities - This opportunity allows you to make a charitable gift, receive income for life, avoid capital gains and possibly earn an immediate charitable tax deduction. Bequests - A considerate gesture to name Aspirus Iron Area Health Foundation as a beneficiary in your will. Life Estate Gifts - This option provides the donor an opportunity to gift their property to the Foundation, while continuing to reside at the property for the remainder of their life. The donor avoids capital gains taxes and in fact receives considerable tax benefits. You may consider gifting the entire property or a portion thereof. You may contact your personal financial representative for assistance or call our office directly at 906-308-0239 so that we may refer you to our brokerage firm. The established practice of the Aspirus Iron Area Health Foundation is that we do not sell or distribute our mailing list or any donor information to other parties. Your financial donation can have a direct and lasting impact on your family, friends, and neighbors. The Aspirus Iron Area Health Foundation directly supports the mission of Aspirus Iron River Hospital and Clinics through securing, distributing and stewarding financial investments for critical resources which will advance the healthcare and healthy lifestyles expected by our region's residents and visitors. Please contact us by one of the options listed below. If you are in the area, we welcome you to stop in for a visit. Thank you for supporting the Aspirus Iron Area Health Foundation.